US Air force, US Army Aviation, DOD, Dept. Of Logistics (DLA), and Moog Inc.
Air Force contract to overhaul the pressurized oil tanks for the F100PW/200/220.229.engines. 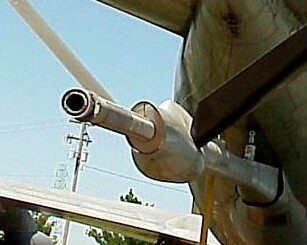 DLA contract to new manufacture the KC-135 Universal Nozzle Aerial Refueling Inner Ball. Demonstrates our ability to manufacture highly technical flight critical parts, improving upon the original design, as well as managing suppliers and complex supplier processes and tests. 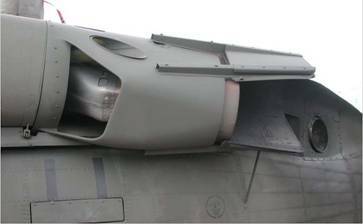 U.S. Air Force contract to overhaul the B-52H bomber engine bypass ducts. 15 year contract with over 1500 produced. The B-52 Bypass Engine Duct overhaul contract demonstrates an intertwining of many years of sheet metal expertise with modern CAD/CAM technology. 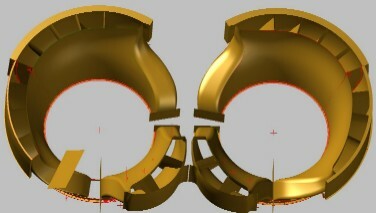 MSI has successfully implemented CAD systems into solving existing fit conformance problems with the B-52H Bypass Ducts, converting loft data models into CAD data, and using 3D metrology equipment and cad models in the calibration of assembly fixtures, as well as into the manufacturing of the ducts themselves at every level of processing. These implementations have effectively solved the fit problems of the critical attach points and contours that were existing in these ducts prior to these improvements. Mission Support has pioneered for production the combination of sheet metal fabrication with modern dimensioning technologies, performing real time CAD/CAM digital manufacturing and inspection of legacy aircraft components. DLA contract for new manufacture of the KC-135 Elevator Damper/Snubber Assembly. Shows our expertise in devising assembly and test processes and managing suppliers to produce a conforming product. U.S. Air Force contract to overhaul various components for KC-135 Aerial Refueling aircraft, from the pilots windows to the refueling boom Universal Nozzle Assemblies and Recoil Assemblies. 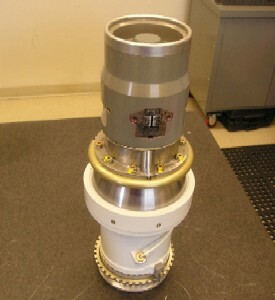 U.S. Army contract to overhaul the UH-60 Stability Augmentation System (SAS) Electro Hydraulic Servovalve. Required development of current technology repair and testing procedures From old and outdated technical directives. 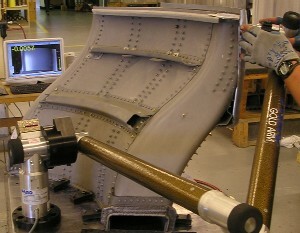 Computerized hydraulic testing equipment was developed and manufactured in minimum time, and passed a demanding two week product verification inspection on site by U.S. Army personnel. Required development of current technology repair and testing procedures for Titanium Die Forgings from old and outdated technical directives. Passed a demanding two week product verification inspection on site by U.S. Army personnel. U.S. Army Aviation contract to overhaul the UH-60 Hover Infrared Suppression System (HIRSS). 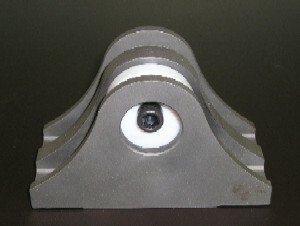 Required development of current technology repair and testing procedures from old and outdated technical directives, and represents another example of precision sheet metal, Fiberglass, and lamination repair. This contract required the management of the creation of precision fixtures generated from CATIA files, and represents another example of precision sheet metal fabrication. Required development of current technology repair and testing procedures from old and outdated technical directives. Required development of current test equipment and new build manufacturing processes. 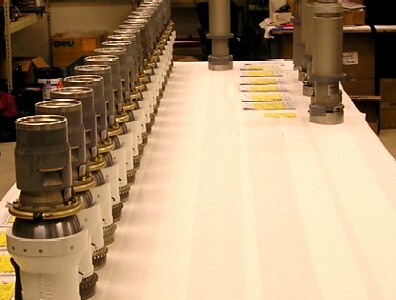 Required development of current testing equipment and complex repair and overhaul processes. Required development of current test equipment and complex repair and overhaul processes.